Are you looking for a flood restoration contractor in Santa Ana, California? Whether for soaked carpets or a full-blown basement flood you want a professional flood company that can take care of everything properly. Even without any sewage backup you’ll need experts in sanitation, water damage removal, and quite often mold removal. If you’re dealing with the aftermath of firefighting it’s best to have the same company take care of fire damage repair as well so that you’re not chasing down several work crews and worrying that something might be getting overlooked. That company is Restoration Masters. You can reach a live expert 24 hours a day and 7 days a week. They will dispatch the right technicians and crew within minutes. We have IICRC , RIA and CRA certified specialists in water damage removal, fire damage repairs, smoke and odor removal, flood damage restoration and mold remediation. Special expertise and equipment are necessary for several reasons. 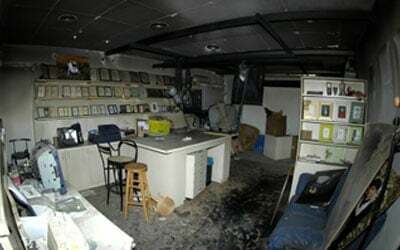 First of all, fire damage, flood damage and mold contamination all pose very significant health and safety hazards. Second, smoke and water quickly cause further destruction if not treated quickly and correctly. And repairing that is unlikely to be covered by insurance if you didn’t immediately bring in professional services. The first 24 hours are the most critical, so there’s no time to start learning! Finally you want your Santa Ana home or business to be skillfully returned to it’s pre-damage condition, to recover as many possessions as possible, and get your life back to normal quickly and hassle-free. We’re a locally owned and operated flood company. Fully licensed and insured, we have one of the fastest response times in the industry. You can call us anytime 24/7 and certified inspectors and technicians can be at your Santa Ana door in an hour or less. We’re a leading local water damage contractor providing outstanding flood services. Starting with tarp-overs all the way to skilled repairs and complete debris cleanup and haul away we have you covered. Family owned and operated, we’re fully insured and properly licensed for all of the services we provide. Insurance We’ll work directly with your insurance company to save you the time and headaches of the seemingly endless barrage of details and paperwork required. We’ll also bill them directly so there’s no upfront payment. Over the years we’ve learned exactly what the leading Santa Ana insurers want in documentation and mediation for a smooth claims process. Expertise Of course we employ only experienced and skilled crews. Whenever specialized knowledge and training are required you’ll have one or more technicians certified by the IICRC and CRA (the leading organizations in our industry). Equipment Water removal as well as smoke and odor removal also require unique equipment for complete cleaning and dry out within the first critical 24-48 hours. Our own inventory includes extra-powerful water extraction equipment as well as refrigerant dehumidifiers, specialized heaters, and powerful air movers for fast and complete structural dry out. We also have dry ice blasters for removing char and smoke from building surfaces. For neutralizing odors anywhere and everywhere in the building, regardless of their cause, our arsenal includes eco-friendly ozone generators. Beyond water removal our flood services include thorough sanitation and disinfection. After 24 hours water will be teeming with bacteria, fungi, and viruses even if there’s been no contamination by sewage. 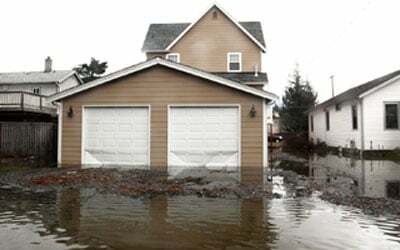 Your flood restoration will almost certainly need water damage removal as well. The best industry practices, including specialized equipment, are necessary to prevent further destruction such as warping and swelling wood, crumbling drywall, and so on. Otherwise deep-down moisture hangs around for weeks causing continued deterioration. Our certified technicians will cut those weeks down to just a few days with thorough water extraction and complete structural dry out. As that progresses we can also take care of odor removal and water damage restoration. 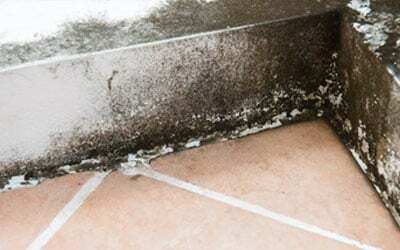 Due to potentially serious health hazards and the potential for spread, mold remediation should be performed only licensed experts such as our certified technicians. They’ll isolate the work area before completing thorough mold removal and the application of non-toxic mildicide to protect against regrowth. They can also neutralize musty odors wherever they might have settled. Our crews are also well prepared for your fire damage repair needs, starting with securing and reinforcing the building. Along with demolition, repair, and reconstruction our specialists are ready to address water removal needs as well. Specialized smoke and odor techniques are also critical in preventing further harm. Otherwise smoke’s corrosive compounds quickly cause permanent harm and its toxic and odor-causing compounds penetrate deeply to where they can no longer be removed. With a total population of 324,528 (2010) and one of the highest population densities in the country, buildings in Santa Ana are at very low risk of natural flooding or wildfires. Building fires and destruction from plumbing disasters are much more common and it always pays to be prepared. Here are a 3 links to local preparation, planning, and recovery resources.